Belly Dance DIVAS! Starts in Boulder 6/6/17! Belly Dancing is great exercise and it’s FUN! Proper technical alignment and precision of Middle Eastern movement will be served up, with a side of core conditioning, sprinkled with conscious movement to lead us back to the acceptance and honoring of our inner goddess nature. Nothing superficial here, just down-to-earth divas learning and embodying an art form older than recorded time. Experience the body and mind benefits of belly dance. Then let its deeper intention saturate your heart until you know your gorgeousness from the INSIDE-out. This dance form was made for a woman’s body & soul. Get in shape the natural way. All levels welcome. Contact your creative & captivating chutzpah! 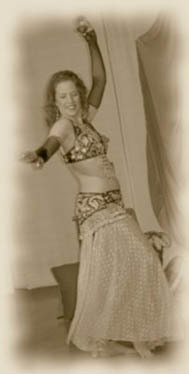 Sheila “Sheikha” Kelly has been teaching belly dance since 2000. Her approach is holistic, teaching movement “from the inside-out”. June 13, 20, 27; July 11, 18, 25 Fee Goes up if less than 8 register. Contact Sheikha @ 720-530-6555 or SheilaKelly@Outlook.com. Payment due after first class.